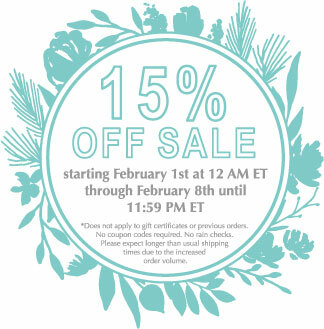 Get 15% off of most items in our store starting tonight at 12 AM ET. This is the perfect time to stock up on paper and ink, as well as all the other items you use throughout the year. **Does not apply to gift certificates or previous orders. No coupon codes required. No rain checks. Please expect longer than usual shipping times due to the increased order volume. How will we know which products won’t be coming back? Thanks for the sale! I was looking forward to one and had fun shopping. Happy Anniversary and best wishes for the future! Thanks very much for the sale! Picked up a few things I had my eye on, and got some re-inkers!